This example shows how to enforce absolute stability when a linear time-invariant system is in feedback interconnection with a static nonlinearity that belongs to a conic sector. Consider the feedback connection as shown in Figure 1. For this example, is the following discrete-time system. where, . This quantizer belongs to a sector bound . For example, if , then the quantizer belongs to the conic sector [0.1818,1.8182]. 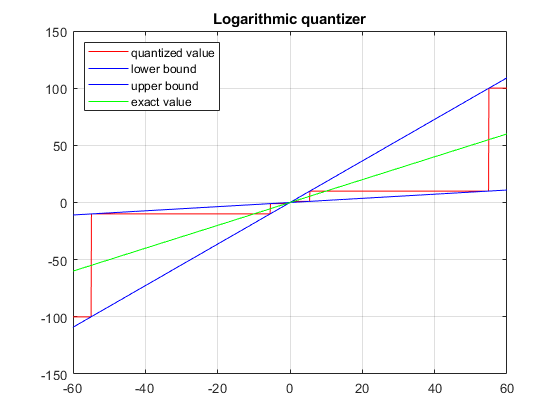 Plot the sector bounds for the quantizer. represents the quantization density, where . 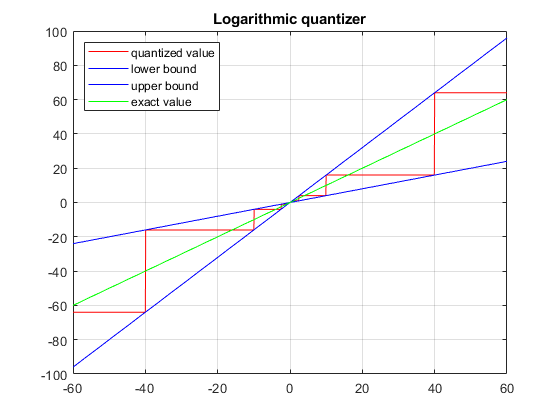 If is larger, then the quantized value is more accurate. For more details about this quantizer, see . where, and are the input and output of , respectively. This condition can be verified by checking if the sector index, , is less than 1. Define the conic sector matrix for a quantizer with . Get the sector index for Q and G.
Since , the closed-loop system is not stable. 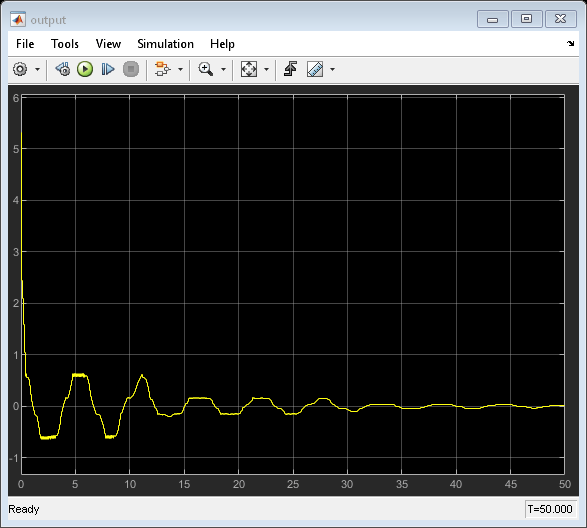 To see this instability, use the following Simulink model. From the output trajectory, it can be seen that the closed-loop system is not stable. This is because the quantizer with is too coarse. 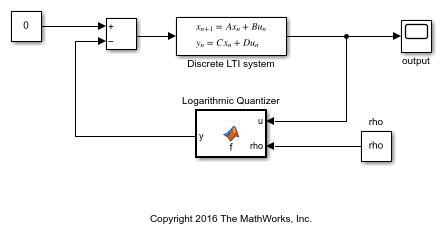 Increase the quantization density by letting . The quantizer belongs to the conic sector [0.4,1.6]. The quantizer with satisfies the conic sector condition for stability of the feedback connection since . 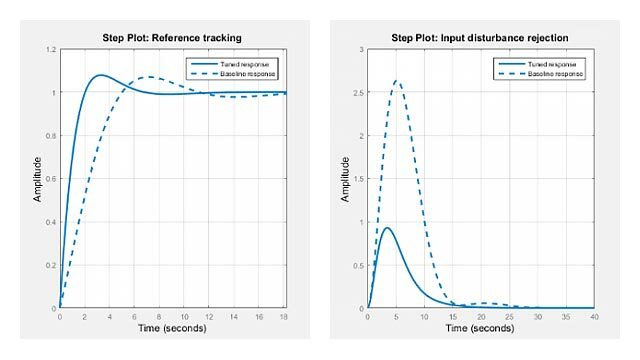 Run the Simulink model with . As indicated by the sector index, the closed-loop system is stable. M. Fu and L. Xie,"The sector bound approach to quantized feedback control," IEEE Transactions on Automatic Control 50(11), 2005, 1698-1711.